Christopher Bassford, CLAUSEWITZ IN ENGLISH. Chapter 9. One of the first major writers to deal frankly with the lessons of the war in South Africa was G.F.R. [George Francis Robert] Henderson. (*1) Colonel Henderson was a highly charismatic professor of military history at Camberley (1892-99). Succeeding Maurice, he got the job as a result of the success of his writings on the American Civil War. (*2) One of Henderson's greatest qualities was an ability to admit that he had been wrong, something that he had ample opportunity to do after the experience in South Africa invalidated many of his earlier predictions on the impact of modern weaponry on tactics. Henderson showed great promise as instructor, leader, and staff officer. Unfortunately, he died in 1903 as a result of illness contracted during the war. Paret's view is probably closer to the mark. Henderson's presentation of Clausewitz was evidently phrased so as to make his underlying ideas acceptable to a readership not enamored of "Teutonic philosophizing." Perhaps for the same reason, his direct references to Clausewitz are few, but his intellectual debt to Clausewitz is obvious. In the 1902 supplement to the Encyclopædia Britannica, for example, Henderson's contributions include the articles "War" and "Strategy." Clausewitz's name does not appear at all, but a great many of his arguments do: "War ... is a political act, initiated and controlled by government.... All war is simple, but the simple is most difficult.... War is assuredly no mechanical art. Broadly speaking, it is a war between the brains and grit of the two commanders." Whether Henderson's attitude on this last point reflects Clausewitz's specificity or his own common sense, it reveals one very real reason that many in Britain were so reluctant to adopt the continental military model that modern writers have so often seen as the test of a "Clausewitzian" understanding of war. The imperial mission always inhibited preparation for warfare on the continent, both psychologically and in all the practical matters that Henderson pointed out. Another aspect of Henderson's approach that both echoes Clausewitz and contradicts commonly held ideas as to what constitutes a "Clausewitzian" approach is his belief in the importance and power of the defense. In a period increasingly falling under the spell of the "ideology of the offensive," Henderson stressed "the importance of the spade." He clearly understood the dynamic relationship between the two modes of warfare, however. In his study of the battle of Spicheren he faulted the French commanders for failing to recognize "the power of the offensive. "(*10) Again, whether this view was based on or enhanced by his direct study of Clausewitz or derived entirely from his practical study of the American Civil War is impossible to determine. Nonetheless, it is clear that Henderson was familiar with Clausewitz and that his views were, in important particulars, consistent with the message of On War. Colonel F.N. (Frederick Natusch) Maude, R.E. (1854-1933), was for many years the book review editor for the Journal of the Royal United Service Institution. He seems to have been a bit eccentric: He was the inventor of a smoke-eating machine and a proponent of a "science of organization" called "andrology. "(*11) His Who's Who entry reads "Recreations: nil." Maude was associated with the mystic Aleister Crowley, who introduced the young J.F.C. Fuller to him around 1906 to 1908. Maude's garrulous and argumentative books were critical of just about everyone. A fervent admirer of the German military system, he saw Germany as England's deadliest natural enemy. A relentless reformer, he was critical of the British army but harsh on the "half-baked" ideas of most other military reformers. (*12) An energetic proponent of the study of Clausewitz, Maude pointedly rejected key portions of On War (notably its argument on the power of the defense). In his reformist views, however, he seems to have been a fairly typical British Clausewitzian. Maude edited Graham's by-then scarce translation of On War and reissued it in 1908. Beyond enlarging the type and breaking the work into three volumes, Maude's contributions were few, but they exercised a great influence on the way the book was perceived by a new generation of readers: He added a series of footnotes pointing out technological and organizational changes since Clausewitz's day and discussing Moltke's role. He also added a short introduction, hostile to Germany but immensely respectful of Clausewitz, that presents the book in a social Darwinist light; the later image of Clausewitz as a believer in war for its social benefits derives largely from Maude's footnotes. (*17) The Graham/Maude edition would long be the standard English version of On War. Its immediate financial success has already been described. It would be reprinted in 1911, 1918, 1940, 1962, and 1966 and provide the basis for most subsequent condensations and abridgments. Another but less complete translation of On War appeared in book form the very next year, produced by one of the most prolific—if sometimes unsophisticated—Clausewitz enthusiasts of this period, T. Miller Maguire (1849-1920). (*18) It had initially appeared in 1907-9 as a series in the United Service Magazine (owned at one time by Frederick Maurice). Like some others who have attempted to produce condensed versions of On War, Maguire ("Inner Temple, Barrister-at-Law") was neither a soldier nor a historian. He had a doctorate in law. On the other hand, Maguire was a frequent lecturer on military topics, speaking at the Royal United Service Institution, the Aldershot Military Society, and the Royal Artillery Institution. He was also a fellow of the Royal Historical Society. Maguire wrote or edited a large number of books on military subjects. Most of these appear to have been well received, but he was widely regarded as a "crammer," whose works were designed to provide a relatively painless preparation for various military examinations. He frequently referred to Clausewitz's work but did it a great disservice by constantly harping on the "great difficulty" of reading it. In this he was no doubt sincerely relating his own experience. Still, magnifying the unreadability of the original could not have hurt the sales of a crammer's "easy-reading" condensation, even though Maguire's condensation is, in places, nearly impenetrable. Maguire's daughter did the actual translation and assisted him in preparing his version of On War. The book is interesting for its attempts to adapt Clausewitz to the analysis of the American Civil War, but Miss Maguire's introduction inevitably arouses some skepticism of her father's work: "I may say that my father, T.M. Maguire, has helped me in various ways, principally by supplementing the original paragraphs with some remarks of his own, with which, he says, Clausewitz would have agreed, had not that man of genius died in 1831. "(*19) Her father's own dedication of the book to General Sir Horace Smith-Dorrien, which is unusually obsequious even for the period, and his preface, in which he says the translation was made "without any slavish acceptance of all of [Clausewitz's] principles and details," do nothing to enhance the book's credibility as a guide to the original's contents. Murray (Gordon Highlanders), had become interested in On War around 1893. In writing about Clausewitz in 1909, he was responding to a perceived demand in the army: He had earlier been requested to give a lecture on Clausewitz to the officers of the Second Division, whose interest had been stimulated by the Japanese victories in Manchuria. (*21) The book evidently sold well, since a second edition appeared in 1914. Let not any critic affirm that I have treated war in this book as if unaware of "The influence of sea-power upon history." ... In my book "The Future Peace of the Anglo-Saxons," I have given ample evidence to the contrary. I am as much a disciple of Mahan as of Clausewitz. Only this book is an introduction to Clausewitz and not to Mahan." Murray took a very cheery view of the difficulties of Clausewitz's book, arguing that its unfinished nature was "really an advantage," since it left the reader "unhampered by too complete a crystallization of his ideas." In contrast with many other readers, Murray liked On War because "it is a book which `any fellow' can read," being free of the pedantries and dogmatism of writers like Jomini and Hamley. He felt that On War was essentially adapted to British officers because Clausewitz had been "a gentleman of fine character." Nonetheless, he advised readers to take the book in small doses. The Reality of War stressed that technological changes, however great they had been, could never outmode the Prussian thinker, "the chief exponent of the moral and spiritual forces in war.... Their chief apostle...."(*22) The overall message that Murray and Wilkinson put forward, however, was that Clausewitz's theories were basically common sense. To understand and absorb them was to make them one's own. 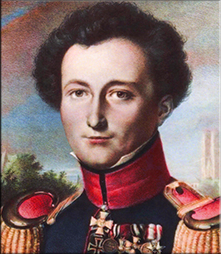 Clausewitz was not an authority to be cited as the arbiter of great decisions but a personal guide in the forming of one's own judgments. This certainly was the spirit in which writers like Henderson and Repington accepted On War, and it helps explain why their direct references to it were so few. Arguably the most influential English military writer in this period was the ubiquitous political and military correspondent Spenser Wilkinson (1853-1937), who in 1909 became the first Chichele Professor of Military History at Oxford. As Liddell Hart later put it, "Spenser Wilkinson's influence was so pervasive over so long a period of time that it is not easy to assess, or to summarize.... One might term Wilkinson the human germ that ultimately caused an intellectual pandemic. "(*23) (The "germ" simile notwithstanding, Liddell Hart's assessment of Wilkinson was entirely positive.) Wilkinson was cited as an important influence as early as Maurice's 1888 Britannica article "War," and he remained a respected voice well into the interwar period. Wilkinson knew and talked to virtually everybody of influence. He was also the brother-in-law of Sir Eyre Crowe, permanent undersecretary in the Foreign Office. He carried on a very active correspondence with many influential soldiers and politicians. For example, his papers contain more than one hundred pages of correspondence with Field Marshal Lord Roberts (the last commander in chief of the British army—the post was abolished in 1904), some of which concerns very sensitive political and military matters and is marked "private and confidential." Roberts (1832-1913) was clearly an avid reader of Wilkinson's writings. Other correspondents included such figures as the elder Moltke (in German), Jean Colin (in French), General Ian Hamilton (who would command the ill-fated Gallipoli expedition), Lord Haldane, Admiral Fisher, and Lord Kitchener. Wilkinson, who was a thoroughgoing Clausewitzian, was prone to evangelize on Clausewitzian themes to his correspondents and partners in conversation. (*27) His papers contain a detailed abstract of On War, written in English but evidently based on reading in German. (*28) His arguments were, from an early date, always informed by a broad and deep understanding of On War. 1. See Field Marshal Earl Roberts, "Memoir," in G.F.R. Henderson, The Science of War (London: Longmans, Greene, and Company, 1906); Major David A. Fastabend, "G.F.R. Henderson and the Challenge of Change," Military Review, October 1989. The best discussion of Henderson is Luvaas, Military Legacy of the Civil War, 170-190. 2. Esp. The Campaign of Fredericksburg, November-December 1862: A Study for Officers of Volunteers (London: K. Paul, Trench, and Company, 1886). 3. Peter Paret, "Clausewitz: A Bibliographical Survey." See also Paret, "Clausewitz and the Nineteenth Century," in Howard, ed., Theory and Practice of War. 4. Henderson's criticism (Science of War, 169) of Hamley specifically attacked the paragraph in which his book dismissed "moral factors," the very point at which Kiggell inserted a reference to Clausewitz. 6. On War, Book Two, Chapter 2. 7. See esp. Henderson's "War." Henderson's contempt for Lincoln pervades Stonewall Jackson and the American Civil War. 8. E.g., Henderson, Battle of Spicheren (1891), 288, 295: "But what says Clausewitz, first of military writers?" 9. Henderson, Science of War, 42. 11. Travers, "Technology, Tactics, and Morale." 12. A True Reformer [Maude], Letters on Tactics and Organization (Calcutta, 1888). 13. Maude, Military Letters, 100. 14. Maude, Military Letters, 266. 15. See for example F.N. Maude, The Jena Campaign (London: Swan Sonnenheim and Company, 1909), n.1, p81. David Chandler, The Campaigns of Napoleon (New York: Macmillan, 1966), noted that Clausewitz "completely misunderstood the manouevre sur les derrières...." His view seems to be derived from Maude's. See also Colonel Camon (French army), who made the same argument in his Clausewitz (Paris: Chapelot, 1911). Cf. Peter Paret: Clausewitz's "earliest surviving essay, written a year before Austerlitz, demonstrates the sureness with which he already grasped the essentials of Napoleonic strategy." Paret, "Clausewitz and the Nineteenth Century," 25. 16. Brian Holden Reid, J.F.C. Fuller: Military Thinker (New York: St. Martin's Press, 1987), 20. 17. There are some hints of such an attitude in On War, e.g., the last paragraphs in Book Three, Chapter 6. 18. Maguire, ed., General Carl von Clausewitz on War. 19. See also comments on Maguire in Paret, "Bibliographical survey," 275, n.17. 20. Major Stewart L. [Lygon] Murray (1863 - ? ), Reality of War, in my view view the best condensation of On War, albeit very reflective of its period. 21. Murray, Reality of War, xiv. 22. Murray, Reality of War, 114-115. 23. Liddell Hart, British Way of Warfare, 44-45. 24. Letter, Wilkinson to Admiral Lord Charles Beresford, 9 October 1894, Wilkinson Papers, 13/21. 25. Wilkinson, Thirty-Five Years, Chapter 10. 26. E.g., John Gooch, Plans of War, 15. 27. In his autobiography, which avoided intellectual issues and rarely mentioned Clausewitz, Wilkinson recalled (298) advising Lord Milner (Governor, South Africa), to read On War in 1898. Also (314) Foster Cunliffe, later the first lecturer in military history at Oxford. 29. Letter, Dilke to Balfour, December 21st, 1893. Reprinted in Stephen Gwynn and Gertrude M. Tuckwell, The Life of the Rt. Hon. Sir Charles W. Dilke (London: John Murray, 1917), 451-54. 30. E.g., review of Wilkinson's Government and the War (London: Constable and Company, 1918), in Punch, 25 June 1918. 31. See John B. Hattendorf, "The Study of War History at Oxford, 1862-1990," unpublished ms [to be published as part of John B. Hattendorf and Malcolm H. Murfett, eds., The Limitations of Military Power: Essays Presented to Norman Gibbs on His Eightieth Birthday (New York: St. Martin's Press, 1990)]; notice of Wilkinson's appointment in United Service Magazine, #974, January 1910; Repington, "A Plea for History," Times, 10 September 1904. 32. Wilkinson, The University and the Study of War: An Inaugural Lecture Delivered before the University of Oxford, November 27, 1909 (Oxford: Clarendon Press, 1909). 33. Letter, Howard to Bassford, 23 September 1989. 34. In The Brain of an Army: A Popular Account of the German General Staff (Westminster: A. Constable, 1895), Wilkinson included a brief but prominent discussion (176-78) of On War. Root's letter is quoted in Wilkinson's Thirty-Five Years, 260-61. See also Weigley, History of the United States Army (1984), 315-317.